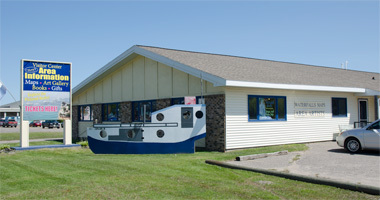 Visiting the Visitor Center should be your first stop when visiting the area. We offer a wide variety of information for the area. From local attraction information to restaurant menus, we can help you plan out your stay. Stop in to see our expansive local artists gallery, local apparel, books and other U.P. gift items. Open seasonally from May thru October. Our purpose is to provide for visitors’ enhanced enjoyment and understanding of the Hiawatha National Forest through educational programs, publications, exhibits and merchandise.